Since we have years of knowledge, our organization has arisen as foremost suppliers of WB-1307 Basketball Uniform The well-structured warehouse is the reason behind the safety and year-round availability of the products we offer. Besides, we have installed modern amenities necessary for the safe storage of the lot. 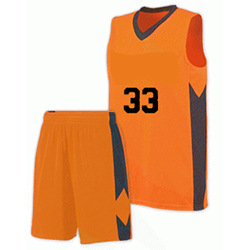 WB-1307 Basketball Uniform has a soft fabric lining with a regular fit design and high durability.